This Port Clinton, Ohio hotel is just 1.2 miles from African Safari Wildlife Park. The hotel offers a hot daily breakfast and guest rooms with free Wi-Fi. Holiday Inn Express Hotel & Suites Port Clinton-Catawba Island features an indoor pool and a business center. Laundry facilities are also available at the hotel. 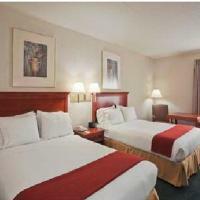 Guest rooms at the Port Clinton Holiday Inn Express are equipped with cable TV and telephones with free local calls. Coffee makers are also included in each room. Cedar Point theme park is within a 30-minute drive of the Holiday Inn Express Port Clinton. Companies including Fenner Dunlap are nearby. This Port Clinton, Ohio hotel is just minutes’ walk from the shores of Lake Erie and various fishing opportunities. The hotel boasts an on-site restaurant and bar as well as free Wi-Fi access. Each guest room at The Island House Hotel features a 32-inch flat-screen TV, a refrigerator, and a desk. Select suites have a living area with a sofa bed and a full kitchen. They are decorated in soft colours and wood furnishings. 24-hour front desk services and laundry facilities are provided at the hotel. An on-site meeting space is also available. Guests at the Hotel Island House can enjoy breakfast in the restaurant on Sunday mornings. Monsoon Lagoon Water Park is 6 miles away. The Mon Ami Winery on Catawba Island is 10 minutes’ drive from the hotel. This Port Clinton motel offers free Wi-Fi, a private marina with access to Lake Erie, and rooms equipped with a refrigerator. A breakfast bar is also offered each morning. 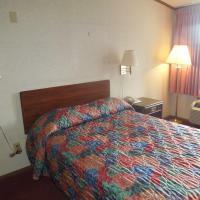 A seating area is provided in each traditionally decorated room at Port Clinton Americas Best Value Inn. Select rooms feature waterfront views. Guests can enjoy a day of fishing or use the barbecue facilities that are located on-site. A terrace is also available along with several charter boat services. 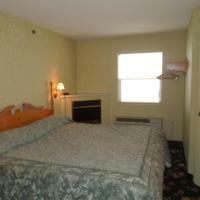 Plenty of restaurants are within 2 blocks of Americas Best Value Inn Port Clinton. Monsoon Lagoon Water Park is 6 miles away. This accommodation in Port Clinton, Ohio is within 5 miles of fishing charters for Lake Erie and is 6 minutes’ drive from the African Wildlife Safari Park. Guests can enjoy an in-room kitchen and free Wi-Fi is available. The kitchen in each room at Fisherman Inn includes a stove, oven, refrigerator and oven. There are free toiletries in the en suite bathroom and the rooms also have a cable TV. The Port Clinton Fisherman Inn provides guests with designated smoking areas and the property is air conditioned. The Catawaba Island Ferry Terminal? to Put-in-Bay is 6 miles away. The property is 8 minutes’ drive from the Monsoon Lagoon Water Park. In Port Clinton just a 4-minute drive from African Safari Wildlife Park, this hotel has a daily breakfast and suites with free Wi-Fi. An indoor pool and fitness center are available. A flat-screen TV with cable is featured in all air-conditioned rooms at Country Inn & Suites Port Clinton. Each room comes equipped with a small refrigerator, microwave and coffee-making facilities. A 24-hour front desk is available at Port Clinton Country Inn & Suites. A business center complete with fax and photocopying services is on site. Coin-operated laundry facilities are available. Cedar Point Amusement Park is a 28-minute drive from this hotel. A variety of dining options including Nagoya Japanese Steakhouse and Mon Ami are just 2 miles away. Located near Lake Erie, this Port Clinton homestay is 9 miles from the beach at East Harbor State Park and is one mile from the center of town. Guests can enjoy free Wi-Fi and a full kitchen. The accommodations at Port Clinton Rentals include a TV with satellite channels and either a patio or a balcony. The full kitchen has an oven, refrigerator and microwave. There are also BBQ facilities on-site at the Rentals – Port Clinton. The African Safari Wildlife Park is a 12 minute drive from the accommodation. Monsoon Lagoon Water Park is 8 miles away. Located 2 miles from the Jet Express ferry to Put-In-Bay, this Port Clinton, Ohio hotel features rooms cable TV and free Wi-Fi access. Each guest room at OurGuest Inn and Suites Catawba Island includes a microwave and refrigerator. They have a private bathroom and are decorated in light colors. Some rooms have a sofa or a spa tub. Free parking is available for all guests at the Catawba Island OurGuest Inn and Suites. Put-In-Bay is 12 miles away by ferry. Cedar Point Amusement Park is a 30-minute drive from the hotel. This Port Clinton, Ohio hotel is a 7-minute walk from the Jet Express ferry to Put-In-Bay. It features an outdoor pool and free Wi-Fi access. A microwave and a refrigerator are included in every guest room at OurGuest Inn & Suites Downtown Port Clinton. The rooms have cable TV and select rooms include a sofa bed or a spa tub. Guests can relax by the lobby fireplace at the Port Clinton OurGuest Inn & Suites. Meeting facilities are available as well. African Safari Wildlife Park is 5 miles from the hotel. Put-In-Bay is 14 miles away by ferry. 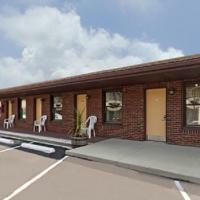 This Port Clinton, Ohio motel boasts an outdoor swimming pool and free Wi-Fi access in the lobby. Swimming and boating on Lake Erie is just 7 minutes’ walk away. Each room at the BayShore Inn features cable TV and a coffee maker. The simply decorated rooms have an en suite bathroom with a hair dryer. A microwave and refrigerator are available on request. The Port Clinton BayShore Inn offers free parking and 24-hour front desk services. Guest can relax on the poolside chairs. African Safari Wildlife Park is 3 miles from the motel. Cedar Point Amusement Park is 18 miles away.